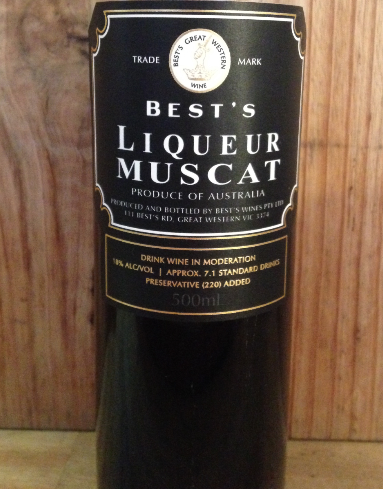 NV Best's Muscat 500ml. Great Western-VIC. Such a smooth character! Chocolate, raisins, vanilla, sweet spices all play a role here. A great local alternative to Pedro Ximenez.